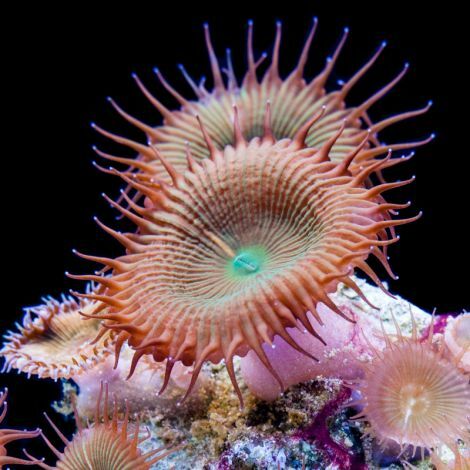 Zoanthids belong to the same Subclass as stony corals and corallimorphs. 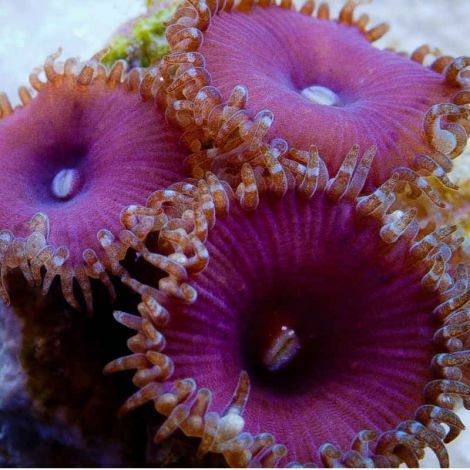 They share 6-fold symmetry but lack a calcium-based skeleton. 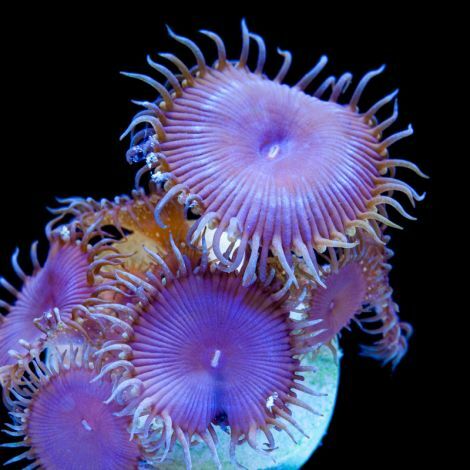 The marketplace for Zoanthids has produced some rather colorful names for different morphs. While some may seem silly and over-the-top, I have warmed up to them. 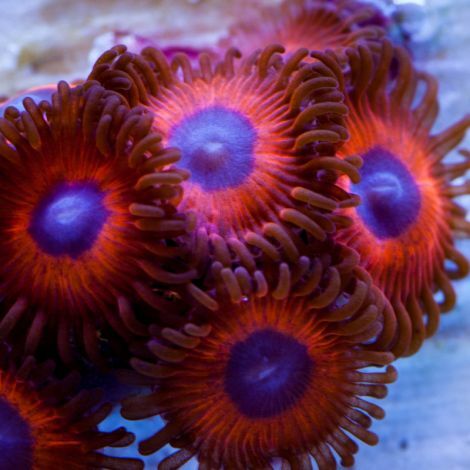 There are discrepencies where a single zoa may have several "made up" names. 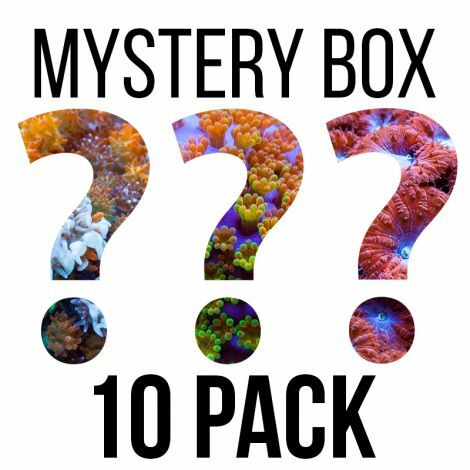 Still, I find it helpful distinguishing the different color morphs. 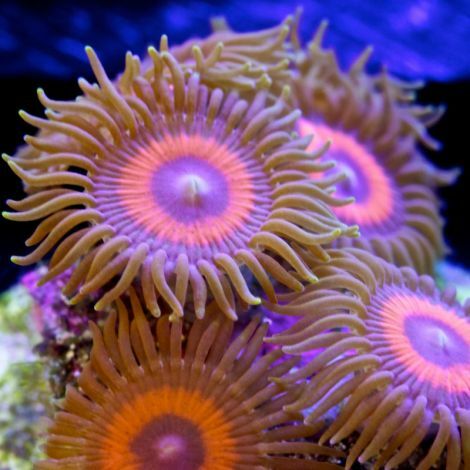 For example, if someone asks about a zoanthid with a green skirt, red face, and purple center, there are several that fit this description. 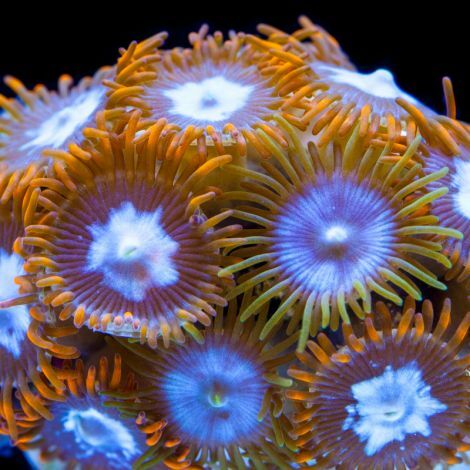 In contrast, if someone were to ask about an "Eagle Eye Zoa" I know what it is! 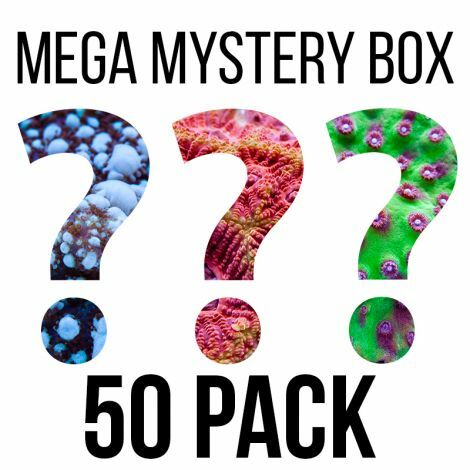 MEGA Mystery Box - FREE SHIPPING!